Create and send Email Campaigns, measure their results and optimize your future sendings. Powerful integrations, multiple features and customized Plans. With our powerful Template Editor you’ll be able to create and personalize stunning Email Campaigns by just dragging elements. And the best part is that you won’t need any HTML or design knowledge. Amazing! Designing outstanding Email Campaigns that fit perfectly on all screen sizes and Email clients has never been so simple! Are your organizing a conference? 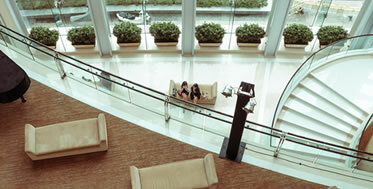 Take advantage of 30% OFF at any of our meeting rooms! Save time and effort scheduling your Email Campaigns with Doppler! Personalize and program your sendings based on the behaviour of your Subscribers or on special dates. This is a feature not-to-be-missed! What about sending more than one Email? Why doing it manually if you count with Doppler? Create a sequence of sendings started when the criteria you established is met. Maximize your conversions and the ROI of your actions. Create Simple and Doble Opt-in Subscription Forms. Make it your own, place them on your Website, Landing Page or Blog and be prepared to see how the number of your Subscribers increase exponentially! And if you already have one? Great! We thought about that as well. Use our API to integrate your Form with Doppler in an easy and fast way. Your Subscribers will be safe in our app! With our Email Marketing model for agencies you’ll be able to manage all your customers from one place. Find out how to do it!